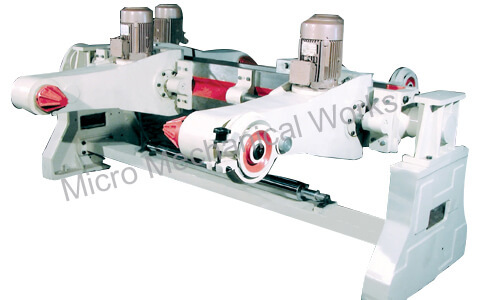 Range of reel Width - Min. 700 mm. Max. Machine Size. Lifting & Lowering, Aligning & Coring of paper reel is motorised. Paper tension is controlled by manual brake. Power required : 17 HP. Paper width : 1000 - 1300 - 1800 mm.